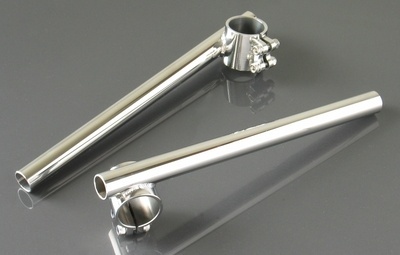 Quality polished stainless steel clip-on handle bars fit all 37mm fork tubes. Fork tube centerline to end length is 270mm. Length overall 300mm. 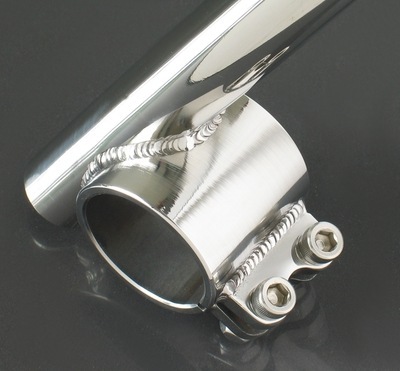 Perfect for a Kawasaki 250TR, Kawasaki KZ, Honda FT-500, Suzuki GS, Yamaha XS1100 cafe racer project, they are suitable for many bikes with 37mm fork tubes. Please measure yours before ordering.